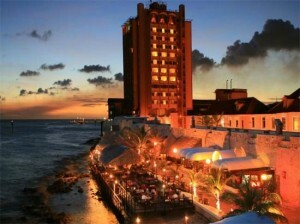 WILLEMSTAD - The Plaza Hotel and Casino was sold for nine million dollars to John Burchan of the Waterfront Hotel Group. Burchan was the only bidder during the action that was organized by the Giro Bank. With this auction, the bank is finally able to pay some of the debts the hotel has to several creditors. The hotel was declared bankrupt earlier this years. The physical state of the hotel is in such bad condition that it was very difficult to get local investors to invest in this property which is located right in the middle of downtown Willemstad. The new owners will have to invest a large sum to renovate the building to make it attractive for visitors. The bidders have 10 days to transfer the funds to a Giro Bank account.